Marmot Men's Featherless Synthetic Fibre Jacket Arctic Navy L .
Marmot Neothermo Fleece Hoody Jacket Women Black XL . Marmot Featherless Soft Shell Jacket Women Lakeside XL . marmot womens windproof hooded jacket size XL lilac good condition. Condition is Used. Dispatched with Royal Mail 2nd Class. 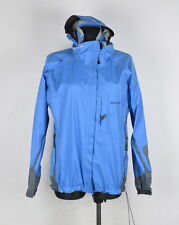 Marmot Women Jacket Packable Hooded Water resistant Coat Size L . Condition is Used. Dispatched with Royal Mail 2nd Class. This black Marmot gilet/sleeveless jacket is in great conditions and is great for spring time. Size - Large ( UK 14 - Marmot size chart). Colour - Black. 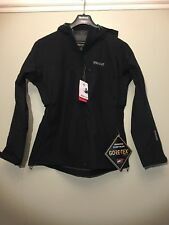 Ladies Marmot jacket Large Black with pit zips The outside is is good condition. However there is small areas of peeling near the neck/hood. See photos. Hence low starting price. No returns. Condition is Used. Gore-Tex in good shape. Has zip vents under arms. Has few tiny marks nothing major. If you want new from box not for you. But a very useable piece of kit. MARMOT MEN'S TRAIL WIND HOODY (TRUE BLUE SIZE S,L,XL) 42% OFF!! Marmot Girl's Montreaux Down Coat, 700 Fill Power Down Black XL. Attached Hood with Removable Fur. 700 Fill Power Down with Down Defender. Micro Fleece Internal Cuffs. With coat flat on the table Lightweight Down Proof Fabric. MARMOT TRAIL MEN'S WIND HOODY (BLUE SLATE SIZE S & L) 42% OFF!! Size - Large ( UK 14 - Marmot size chart). Colour - Lakeside Blue. Size - Large ( UK 16 - Marmot size chart). Colour - Arctic Navy. Length from bottom of collar to rear hem: 26". Width armpit to armpit: 22". Armpit to cuff: 21". Condition is BNWT. US Sizing Guide courtesy of Marmot US Website. The hydrophilic nature of the PU lamination reduces internal condensation and increases comfort range by reducing the chilling effect caused by converting condensation build up back into vapor. Pit to pit 21". pit to cuff 20". size of the parcels, if i can fit one inside the other then i can combine. Material Composition 100% Polyester. Material type 100% Polyester. Size Large. Color Black. Style Sweatshirt. Pit to pit - 20,5" / 53 cm. sleeve length (from pit to cuff) - 21" / 54 cm. sleeve length (from collar to cuff) - 32" / 82 cm. condition : Very good condition. Water-resistant, high performance Thermal R insulation is soft, compressible and ultra warm, even when wet. Wear the stylish layering piece alone or as a cold-weather midlayer. th of October; very sorry once again. Marmot 700 Fill Down Puffa Jacket - Black. Tumble dry low with tennis balls to fluff. Fasten all closures before washing. If this happens, it's better to pull the feather back in from the other side, rather than pull it out. Size - Large (UK14 Marmot size chart). Colour - Black. Length - 27". Underarm to Cuff - 22". Marmot Black Ladies Size Large Goose down Winter coat / jacket Snow skirt, so is a great ski jacket too. Super warm! Great condition. Marmot Women Jacket Wm’s phoenix Jacket. Brand New With Tags. Marmot Women Jacket Wm’s phoenix Jacket. Brand New With Tags.. Condition is New with tags. Dispatched with eBay delivery – Shutl 2-3 days. (2) Virtually Waterproof, without all the drawbacks of a full Hardshell. Body Width at Waist Hem = 22.5 (stretches easily). Total Length: 54 cm = 21.3 in. Armpit to armpit. (Colour: Due to the quality differentation between different monitors the picture may not reflect actual colour of item. B) Sleeve from pit. Pit to pit - 22,5" / 58 cm. sleeve length (from pit to cuff) - 23,5" / 60 cm. sleeve length (from hood to cuff) - 30,5" / 78 cm. back - 30,5" / 78 cm. Length from bottom of collar to rear hem: 29". Width armpit to armpit: 22". Armpit to cuff: 22". The sleeve length from the shoulder: 66 cm -26". the sleeve length from armpit: 53cm - 20.9". Length: 67cm -26.4". Marmot 700 Fill Down Puffa Jacket - Light Blue. Tumble dry low with tennis balls to fluff. Fasten all closures before washing. If this happens, it's better to pull the feather back in from the other side, rather than pull it out. The Girl’s Moonshruck Jacket satisfied both the wild form and solid function. Thoughtful pockets throughout and a funky, spirited design. Removable Snap Off Hood. Powder Skirt. Sleeve length (from pit to cuff) - 21,5" / 55 cm. sleeve length (from hood to cuff) - 29,5" / 75 cm. p2p - 23,5" / 60 cm. Very good condition 10/10. Marmot M1 Softshell. Elastic Drawcord Hem. Outer Shell - WPB 85% Nylon/15% Elastane. Backer & Lining - 100% Polyester. Inside Zip Pocket. Windproof, Water Resistant, and Breathable. Style Softshell. Color Black. Fabulous and rarely worn black Marmot lined windstopper grey fleece-lined jacket with full length zip and concealed zip pocket - size L (40 - approx 12-14). Color: light blue. Sleeve Length From Shoulder: -. Sleeve Length From Neck: 73 cm or 28 3/4”. Total Length: 68 cm or 26 3/4”. Boys' Clothing (2-16 Years) Girls' Clothing (2-16 Years) Sporting Goods Skiing & Snowboarding Sailing Climbing/ Mountaineering. Hundreds of carefully selected products added daily. Helpful Links. Therefore, if an item did not fit, you changed your mind. Marmot M3 Softshell. Attached Adjustable Hood. Zippered Hand Pockets; Center Back Length. Zippered Hand Pockets; Center Back Length (Base of neck to bottom of hem) 24.5in. Exactly what I need for Mountain girlfriends with flair and pace. Marmot M3 Softshell. Allround, All Season Softshell, Breathable, Water Resistant. Elastic Draw Cord Hem Center Back Length (Base of neck to bottom of hem) 25.50in. Raglan sleeves. We will honestly rate situation. Size: X LARGE . Item may have minor signs of wear (if is noticeable small defects they will be pictured above & detailed), but generally looks nice. Type: Jacket Coat. 56 cm or 22” Chest armpit to armpit. 61 cm or 24” Sleeve Length From Shoulder. - Sleeve Length From Neck. 72 cm or 28 1/4” Total Length. Condition: 8 of 10, good, used. Material: 100% nylon.